Learning the basics of Leadership is a regular part of our participation in ESA. At all levels of ESA, we continuously place members in positions of leadership. Leadership training is offered to our members at all levels of the organization with "certified leadership training offered by ESA Headquarters on a yearly basis. State and District meetings offer workshops and opportunities to perfect our leadership skills and training. Being a member of Epsilon Sigma Alpha International builds skills that promote a person's professional life. It pays to belong to ESA! Verneene Forssberg - compiled from a J.C. Maxwell's article: Recently, we are hearing a lot about change in ESA. We do need to make changes that will make us an organization that today’s new member will be attracted to and want to join. Change is not only inevitable, it is a process that needs goal setting and developing a new blueprint for the future that all can become involved and support. Devote the time necessary to present your ideas of change. Effective change occurs when those who follow in leadership roles continue the new mission established in order for the change to complete its process. In order to effect positive and constructive change, a leader must lay the groundwork for it to continue after they have left office. The membership becomes your objective partners in successful change. Change does not have to mean we lose our traditions and rich heritage that we love so much. Effective change requires a joint effort of your membership. In order to effect changes in your state you will need your board and the membership to understand and support the changes you plan to make. This requires thoughtful and purposeful planning on your part. Otherwise any small change you make will soon disappear and have no impact on your organization. Devote the time necessary to present your ideas of change. Together analyze and assess every facet of your current methods and activities. Develop a mission statement which will become the concrete foundation of your new methods. Carve out a blueprint for the future of your council’s new activities. 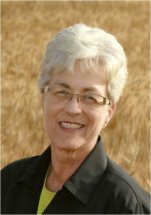 Set goals that will get your council to operate within your mission statement. Gradually transform those goals into habits. Be willing to modify the plan as needed. Make sure you have an accountability processor. The secret to effecting the changes you want to make is thoughtful planning ahead of time with the motive to improve the future of the organization. Marsha Barnes - 2011-2012 KSC President: Have you ever put something off? Something you knew you needed todo? Do you have a tendency to Procrastinate? I do. I read a book recently that I identified with and thought that you might too. The name of the book is “Eat That Frog”, by Brian Tracy. Your “frog” is your biggest, most important task, the one you are most likely to procrastinate on if you don’t do something about it. It is also the one task that can have the greatest positive impact on your life and results are important. If you have to eat two frogs, eat the ugliest one first. This is another way of saying that if you have two important tasks before you, start with the biggest, hardest, and most important task first. I find I have to resist the temptation to start the easier task. But, if you have to eat a live frog, it does not pay to sit and look at if for a very long time! Think back on a time when you FINALLY completed one of those projects that you kept putting off. How did you feel when it was done? The rest of the day went better didn’t it? We are designed mentally and emotionally in such a way that task completion gives us a positive feeling. Whenever we complete a task of any size or importance, we feel a surge of energy, enthusiasm, and self-esteem. The more important the completed task, the happier, more confident, and more powerful you feel about yourself and your world. Consider the consequences: Your most important tasks and priorities are those that can have the most serious consequences, positive or negative, on your life or work. Focus on those above all else. Use the ABCDE Method continually: Before you begin work on a list of tasks, take a few moments to organize them by value and priority so you can have enough time to do the few things that really count. The Law of Three: Identify the three things you do in your work that account for 90 percent of your contribution, and focus on getting them done before anything else. You will then have more time for your family and personal time. Maximize your personal power: Identify your periods of highest mental and physical energy each day, and structure your most important and demanding task around those times. Get lots of rest so you can perform at your best. Get out of the technological time sinks: Use technology to improve the quality of your communications, but do not allow yourself to become a slave to it. Learn to occasionally turn things off and leave them off. Slice and dice the task: Break large, complex tasks down into bite-sized pieces, and then do just one small part of the task to get started. Create large chunks of time: Organize your days around large blocks of time where you can concentrate for extended periods on your most important tasks. Develop a sense of urgency: Make a habit of moving fast on your key tasks. Become known as a person who does things quickly and well. Single handle every task: Set clear priorities, start immediately on your most important task, and then work without stopping until the job is 100 percent complete. This is the real key to high performance and maximum personal productivity. Some Leadership Articles to enjoy and learn from are available below. RECOMMENDED READING: "Who Moved My Cheese?" by Spencer Johnson, M.D. (one of the authors of "The One Minute Manager") Go to www.whomovedmycheese.com to find out more about the book. It is a quick read and it's simple lessons can be applied to most anything you find yourself involved in these days. An excellent book to resource to find simple ways of adapting to the changes we are facing in our organization. The importance of laughter in your leadership is highlighted in this article. Everyone has their own personality that they bring to leadership and each has its own special challenges and benefits,. Another technology tool that is simple and easy to use. What kind of leader are you and why do people follow you? Leadership Training Seminar each winter. Let’s look closer at the definitions. To conduct along the way: guide. As officers or committee chairs in our chapters, districts or the state council we each have the task of planning / leading meetings. What type of a meeting do you like to attend? Motivational meetings bring the best attendance. What is a motivational meeting? They include FIVE main points FUN: More gets done when we are having FUN. FUN keeps people together and keeps them coming back for more. FUN: More gets done when we are having FUN. FUN keeps people together and keeps them coming back for more. TALENT: Focus on the TALENTS of your members. We all have a TALENT – utilize your member’s TALENTS. This makes them feel useful and needed – they have a reason to attend and participate. Use and demonstrate the TALENTS of your membership at each meeting even if you have to create a “Spotlight”. FUNCTION: Do the business that makes the organization FUNCTION. Evaluate your agenda by taking each item and asking yourself, “Can we function without this item?” if you can, eliminate or save it for another time. The reading of minutes and treasurer’s reports – these can be emailed ahead a time – they are not required for a meeting to function; if there is an issue, discuss it, but look for the elements of the meeting that are needed to function. Discuss the upcoming bake sale and how much FUN you will have and the TALENTS of the wonderful cookie baker in your group. INSPIRATION: Whether you bring in a St. Jude Children’s patient; a story of a client helped, a scholarship recipient, a person who has received some of the benefits of your work through a state or local project, help your membership to see what “good” their work creates. FRIENDSHIP: Provide time for members to get to know one another through friendship exercises or social time, planned as a part of the meeting. Most people come to meetings because they will get to see other people they like. If there is not time to be together for fun & friendship, the chances of people coming are greatly reduced. Plan “FRIENDSHIP times”. Friendship is the glue that keeps ESA together. Limit formal business to 2 to 2 ½ hours for state meetings; 30 minutes to 1 hour for chapter / district and committee meetings. Provide materials/information that individual participants will find useful in everyday life! Personal touches to involve presidential themes, etc. FUN, TALENTS, FUNCTION, INSPIRATION & FRIENDSHIP. Do your plans for the coming year reflect our pledge? To tend toward practice of a given result . Plan motivational meetings, it may take time to change what has always been done; that is okay and to be expected. Practice Practice Practice and soon it will become familiar. 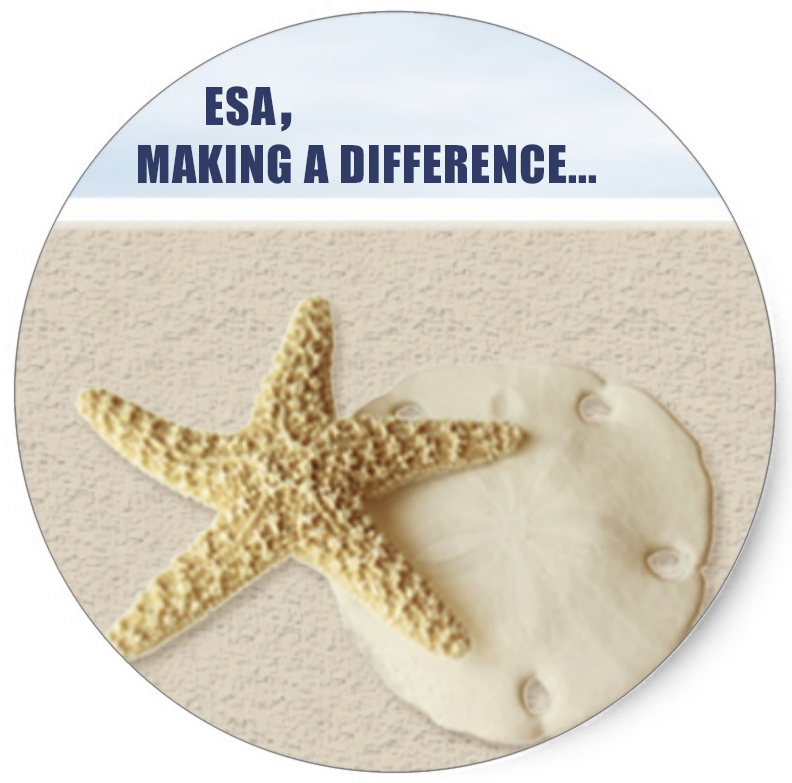 Strive to live up to the ESA pledge every day – this practice will lead to success not only personally but also professionally. When others notice your success & leadership use this stepping block to introduce them to ESA. Nodding occasionally to acknowledge a strong point in the conversation. Standing with hands clasped in front of you, never crossing your arms. Not displaying nervous ticks such as wringing hands, picking at your nails, or anything that the person communicating with you will view as a distraction from their conversation. Speech and Attentiveness: When speaking, you need to be clear and concise. Speak on important matters directly and do not waste time with long drawn out stories that will cause your listener’s mind to wander. Make sure you ask whether they understand, and be willing to further explain any of your points. Do not expect someone to just “know” what you are saying, even if it is crystal clear in your own mind. In addition, one of the most important aspects of verbal communication is the ability to practice active listening. This is not just actively waiting to talk. Always make mental notes of key points when someone is speaking to you. That way once you are given a chance to speak, you can respond to the most vital issues being dealt with. When others are speaking, try to think about the exact words that they are saying. If you practice this, you will comprehend and contain 75 percent more of the information that you hear. Communication Consistency: Maybe your weakness is in the quality or quantity with which you communicate to your employees. Communication seems to have dwindled to superficial small talk. Great communicators practice the ability of consistent communication by remaining available. Do not be afraid to be the one who voices any concerns or difficulties. However, ensure that you are practicing open and honest communication with those who may depend on you. Be available and bold with tact. Be sure to leave communication lines open to those who may need to address problems with you. You will find that you prevent the small issues that normally have the habit of becoming large ones by making those in your life aware that you are open to discussing issues at any time. PatienceDuring your communications with others always give them time to communicate their issues as well. Remaining focused on what they are trying to communicate will show them that you are indeed open to assisting with their issues. Many of people’s communication lines tend to break down on the side where impatience is in a rush to get out of the conversation. Since you cannot control the other side, do yourself a favor and take a breath. The conversation you’re involved in is important. If you are confused as to what someone may be requesting, than repeat back to him or her what you think they said and ask if that is correct. Often this will inspire the speaker to be more in-depth about their needs, which will help you to understand them fully. Practicing Effective Communication SkillsIf someone has communicated a need or an issue to you, then your main priority should be to aid him or her in repairing the problem. Following up on an issue is the only way to convince others whom you need to communicate with that you have listened to them and that their problems or issues are important to you as well. Practicing strong follow-up will also leave the impression that you are involved in the bigger picture. When people see this commitment, they will know you are open to future communications. This creates a loyal and discerning surrounding that cultivates positive movement and communication. This will develop a strong sense of confidence in those with whom you communicate. Conclusion: Since the world is so incredibly diverse and communications come in such a wide variety of forms, it is important to know many appropriate and helpful interpersonal skills. By practicing the few suggestions found here, you will find yourself understanding more of what people say and repeating yourself less to other people. Your co-workers and friends will have the confidence to come to you when they find themselves in need. Remember, great communication skills take practice. Do not give up on Day One. Your ability to express yourself will grow almost daily as long as you apply yourself in improving communication skills. Every leader must be capable of making good decisions and making them in the proper time frame to make the best impact. Decision making does not happen in a vacuum – it is a process of preparation and planning. There is a degree of luck with this intertwined with the group history. Most good leaders do know in their “gut” what decisions should be made whether or not they make the decisions. Unfortunately, sometimes the tough decisions are avoided. There is a period of preparation for the decision making process. A good leader recognizes and frames the issue so that the membership will understand. There will be a team mobilized to address the issue. The second period of processing decisions is when the leader knows instinctively that it’s time to make the decision. Good leaders do not endlessly weigh options – they know there is a time to make the call and move on. If this happens the membership will be able to make a firm commitment to that decision. This is vital to the success of that decision. The third phase of decision making is to execute the decision. This is where many leaders will stumble in the process. After making the decision a leader will stay in touch to make sure a decision is implemented correctly. This is also the phase where good leadership will make adjustments as new information becomes available. In order to motivate other people you must be motivated yourself. Have a clear idea of what needs to be done, have a goal. Identify what needs to be done in clear and concise terms. Everyone needs to feel like they belong, to feel they are important. People need to feel that their participation will make a difference. People won’t stay motivated forever. Leadership includes finding ways to inspire and keep the motivation going. Show people that progress is occurring. If people feel like they are making progress they will continue to be motivated. Consistent appreciation, recognition, and affirmation are essential parts of good leadership. Find ways for members to participate consistently in projects.